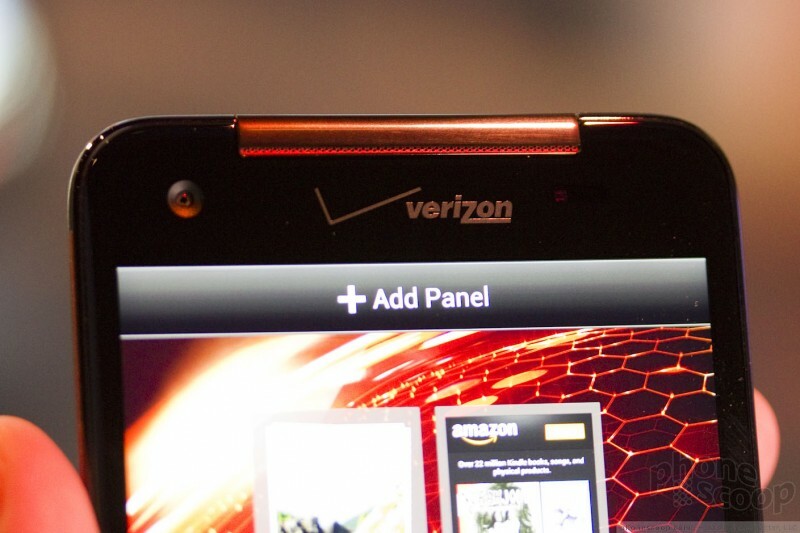 If the "phablet" category of super-phones blurs the line between phone and tablet, HTC is now blurring the lines even more with the Droid DNA for Verizon. 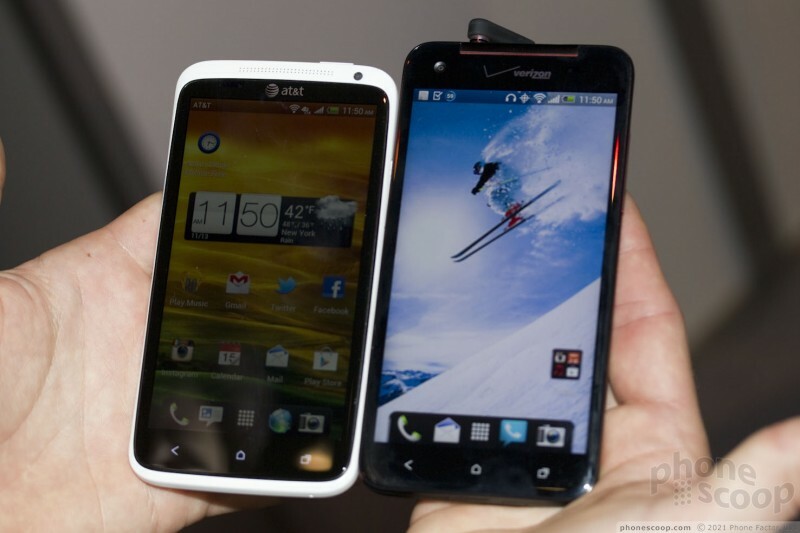 With a 5-inch screen, the Droid DNA is notably larger than high-end phones with 4.7-inch screens. But put it next to a Samsung Galaxy Note II, and it's clear that the DNA doesn't quite qualify as a phablet, either. 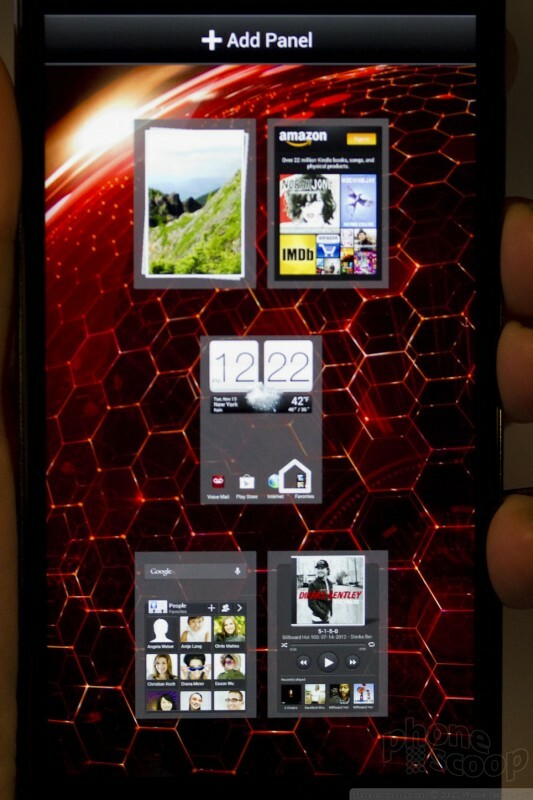 This is just one really big phone. 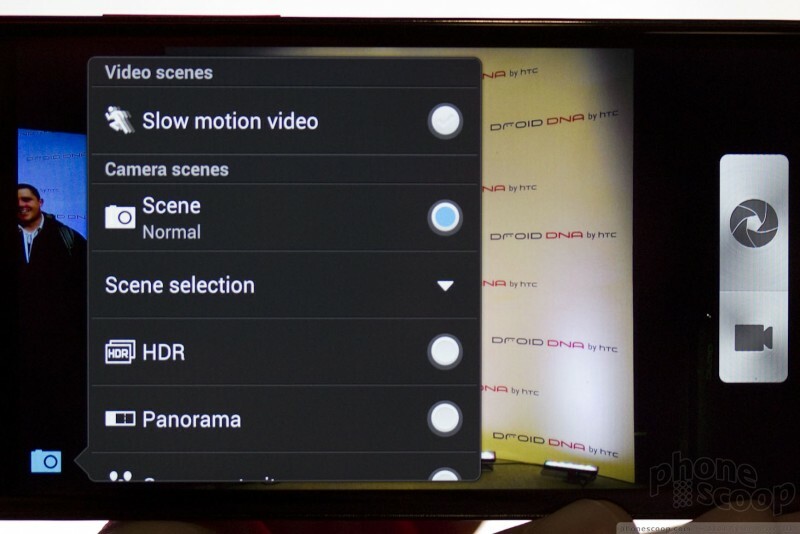 And that 5-inch display sports ground-breaking 1080p HD resolution. We spent some time with it this morning. Read on for our first impressions. 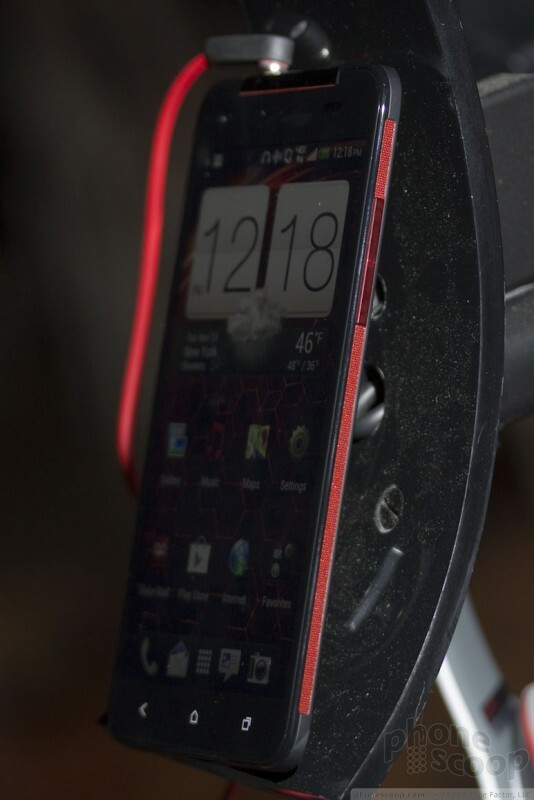 The design of the Droid DNA is best described as a mash-up of the One X and the EVO 4G LTE. The front is glass with a curved bevel around all four edges. As they do on the One X, curved edges on the front glass really enhance the feel of the phone. 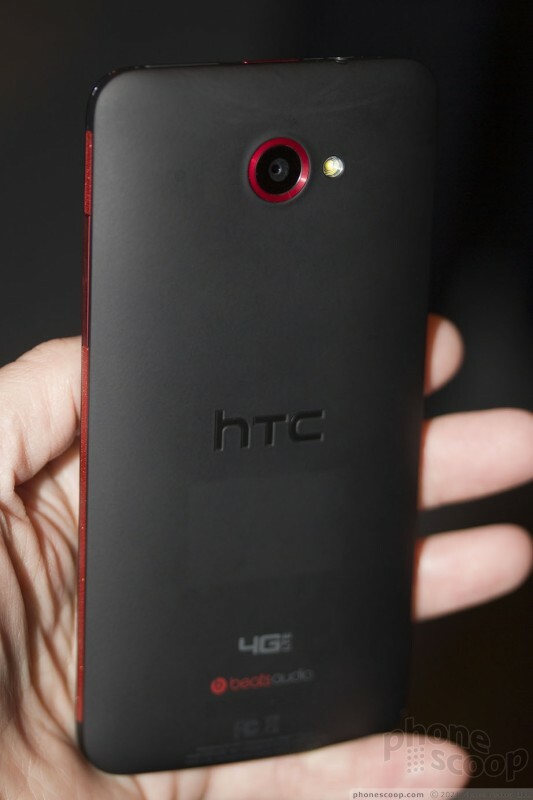 Also like the One X, the back is unibody solid polycarbonate, with a matte texture. This unibody design and matte polycarbonate texture is something HTC excels at, and they've nailed it again on the Droid DNA. 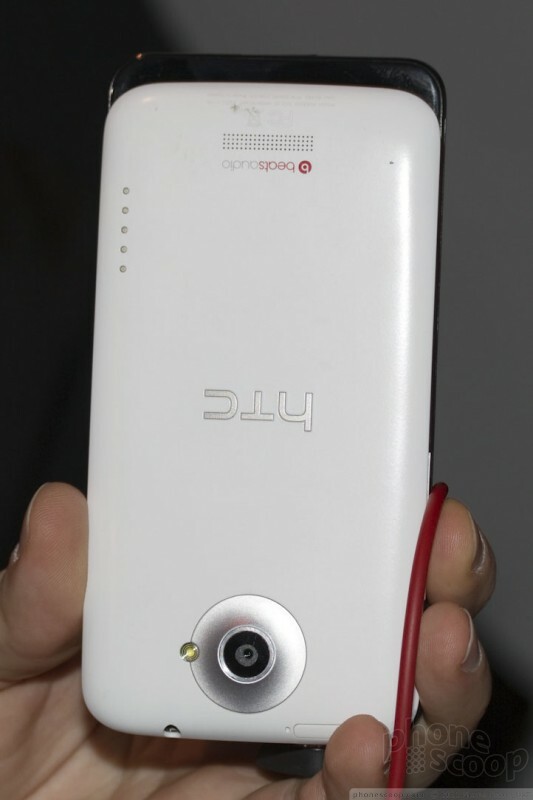 The same HTC designer is responsible for both the EVO 4G LTE and Droid DNA, and it shows in the masculine details, such as the metal highlights around the side. There are bands down both sides that look like perforated red metal. The buttons on the side and top have a spun metal finish. 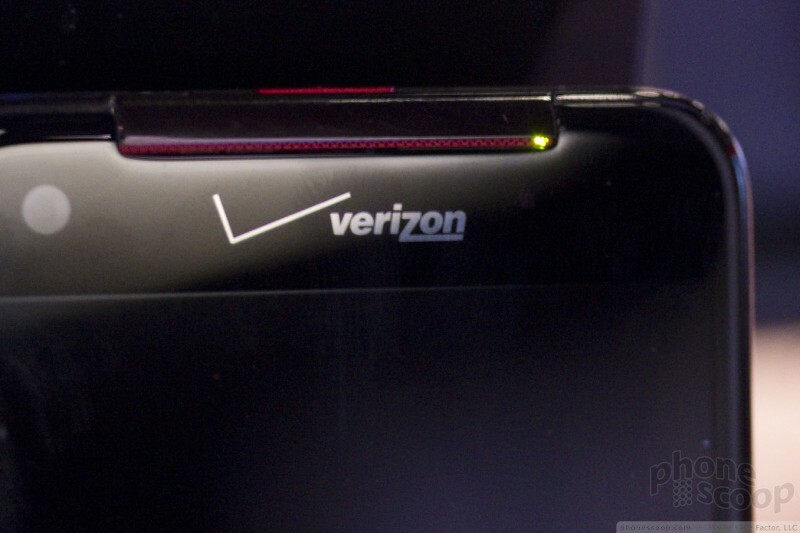 Fortunately, the DNA doesn't have the same sharp edges that bugged us on the EVO 4G LTE. They look good and work well. 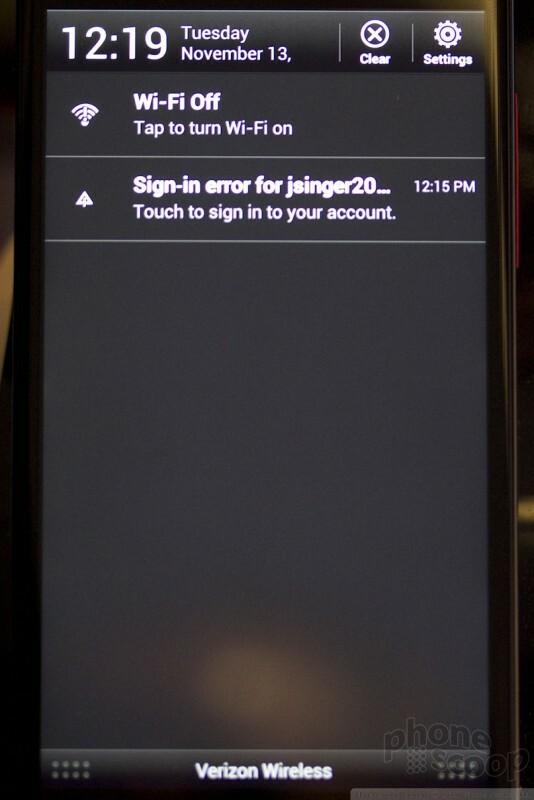 The lock button is on the top, centered, which works well for this size phone. I do have some niggles with the design. 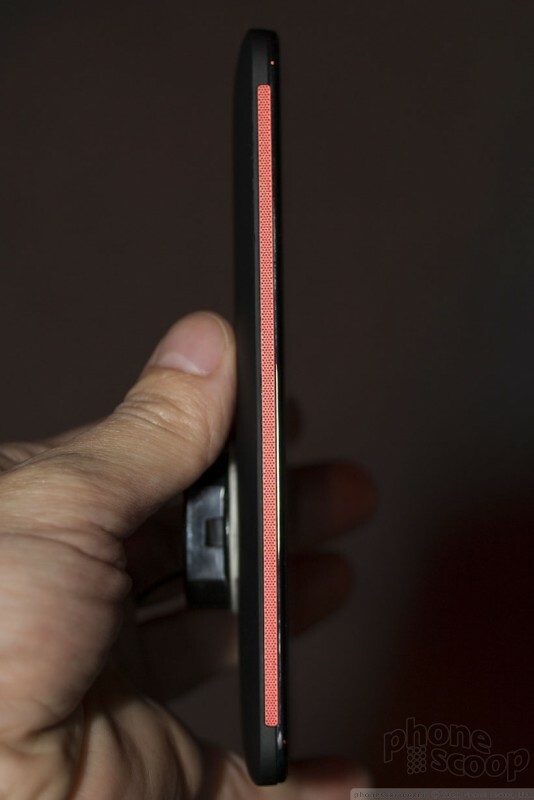 First, the flat sides have a slope that narrows toward the back of the phone. 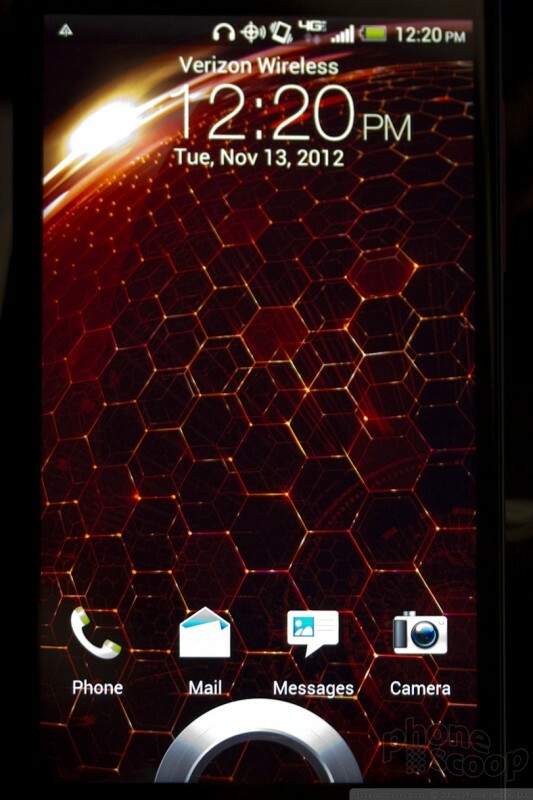 That's the opposite of the One X, and it makes the Droid DNA slightly more difficult to grip with confidence. 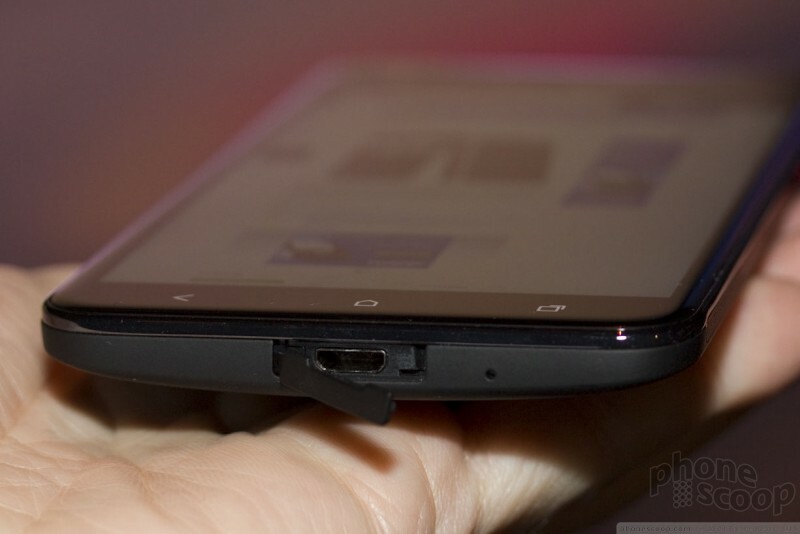 Second, the micro-USB port on the bottom has a hatch covering it. It's an okay hatch, but why have one at all? Personally, I would rip this off on day one. The earpiece is a small slit with a red grill behind it. Above it the only plastic on the front, a band of dark glossy plastic that looks black most of the time, but shimmers red if it catches the light a certain way. It's a classy touch. 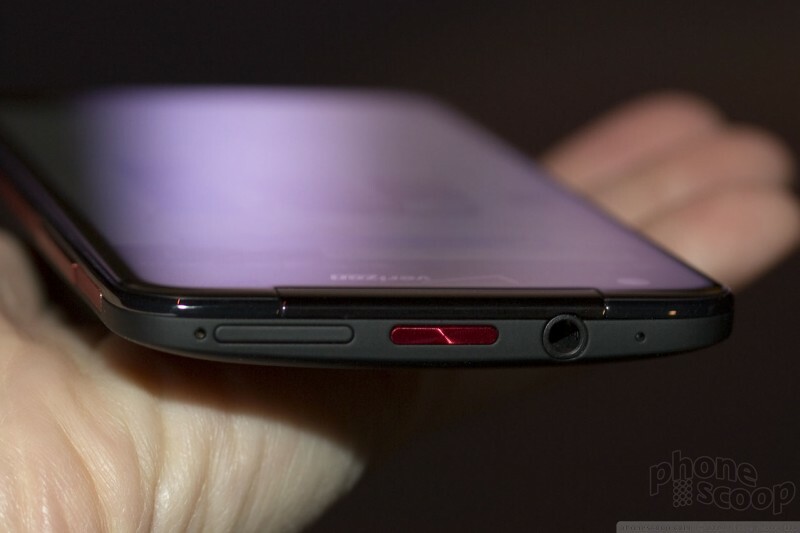 Also, HTC made the thoughtful decision to put an indicator light on the front and the back of the Droid DNA. There's a small light in the speaker grille, but also, on the back, just to the left of the camera that flashes for new messages, etc. That's a nice touch. But overall, the hardware looks and feels great. 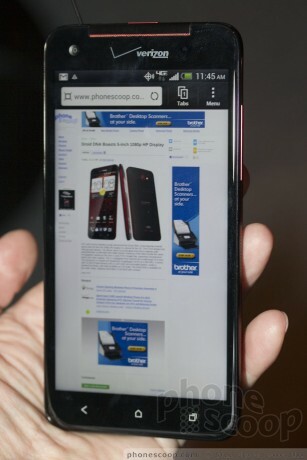 The size is impressively manageable, given the huge screen. The weight isn't too cumbersome. 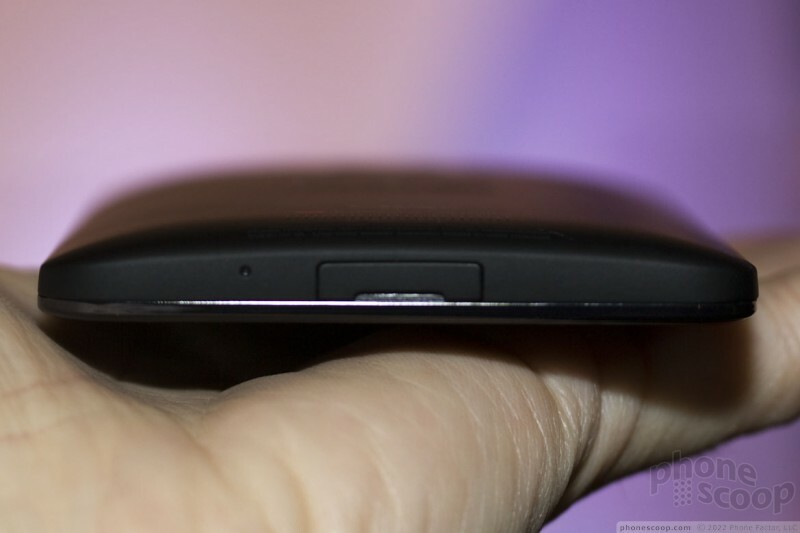 And the back has a nice curve to it that makes it much easier to hold, much like the Windows Phone 8X. Like on the 8X, HTC achieved this shape by packing the battery in the middle, in-between the display and the circuit board. This of course means the battery is sealed inside, but it really does give the phone a better shape. The screen is gorgeous. With 440 ppi, it's absolutely as sharp as they come. It doesn't have quite the viewing angle nor eye-popping colors of an OLED screen, but it's no slouch. It's Sony Super LCD 3 technology, and it looks great. 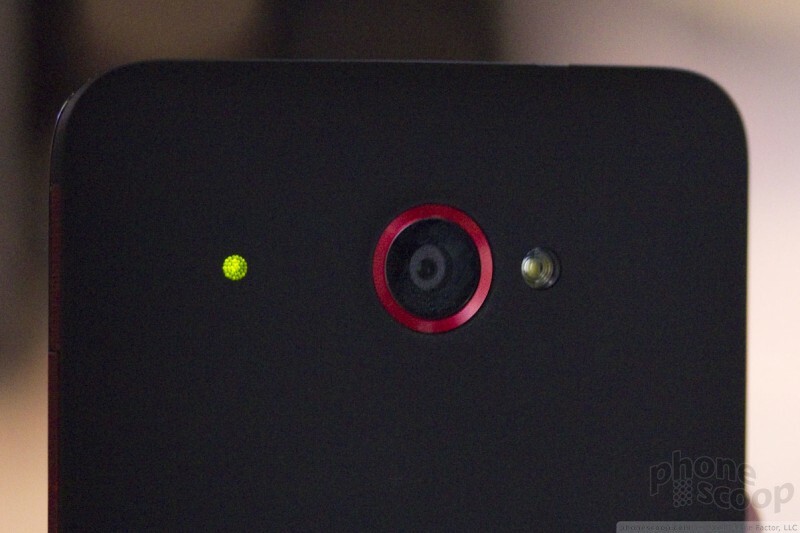 The camera is the same as the One X, with backside-illuminated sensor and f/2.0 lens. In our quick tests, it impressed. 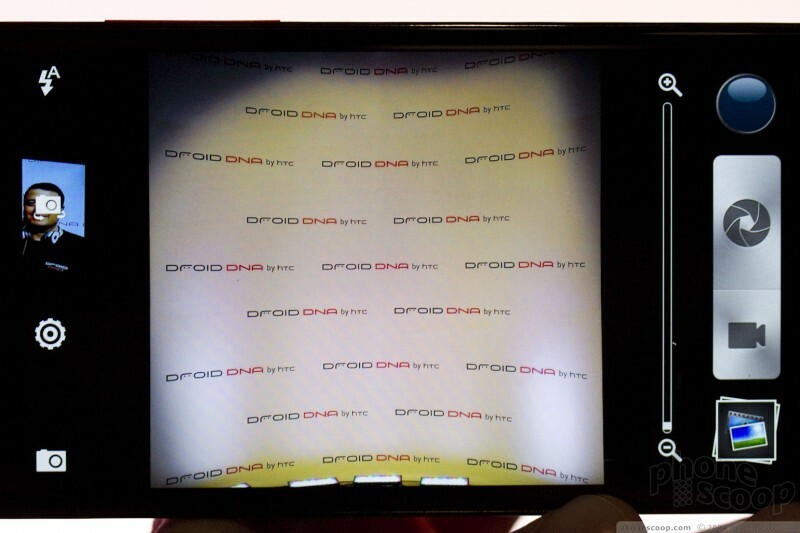 The DNA borrows HTC's ImageChip from the One series, so it has great performance, including burst mode and simultaneous photo and video capture. The front camera is 2.1-megapixel with a wide-angle lens that makes it easier to hold the phone in front of you and grab a group photo, or do a group video chat. 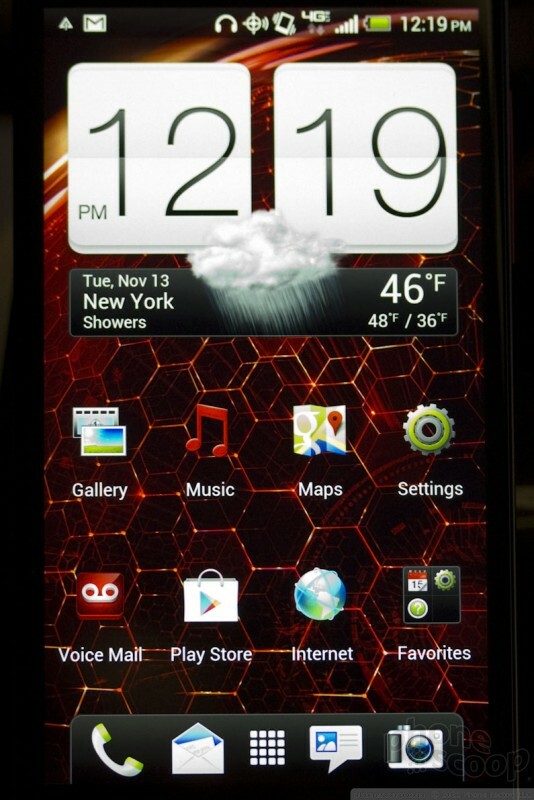 The Droid DNA software is mostly what you'd expect, with Android 4.1, HTC Sense 4+, plus a healthy collection of apps from HTC, Verizon, and Amazon. Included is HTC's Notes app, which lets you combine photos, drawings, text, and voice notes into one collection that syncs with Evernote. 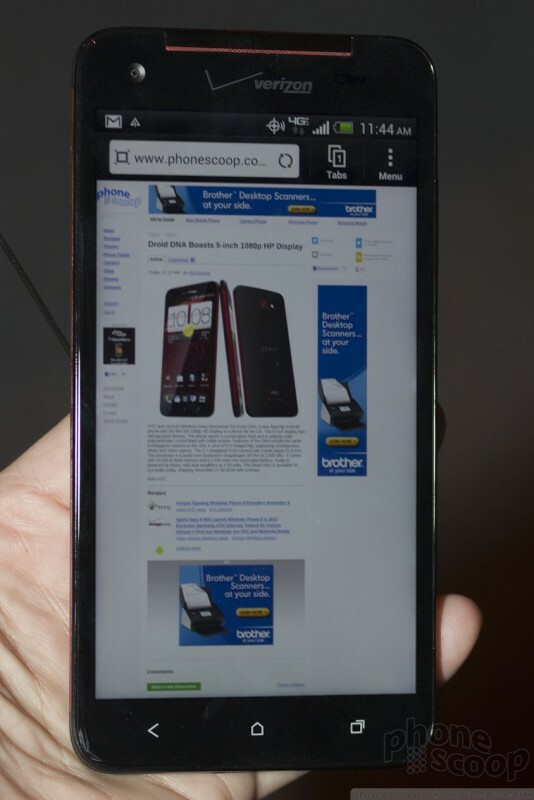 It's not quite what you get with a Samsung Galaxy Note II, but it's still useful. A drawing app is pretty much required with a screen this size. 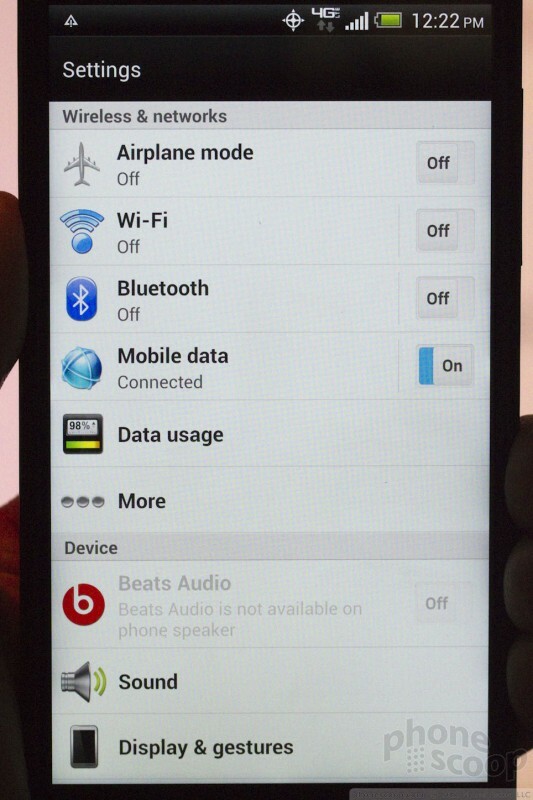 The quad-core processor power the phone well. Everything is speedy. There's 2 GB of RAM, so that won't slow you down. However, there's only 16 GB of memory, and no memory card slot, so you'd better be ready to use the cloud if you want much media at your fingertips. What makes this really odd is that the Droid DNA is essentially the same phone as the Butterfly J for Japan, but the Butterfly J does have a memory card slot. Odd. In short, the Droid DNA seems to combine most of the best ideas from all of HTC's recent flagship phones, and builds on it with the stunning 5-inch full-HD display. If you can manage the size and lack of memory card slot, this one extremely promising flagship phone for the holidays. 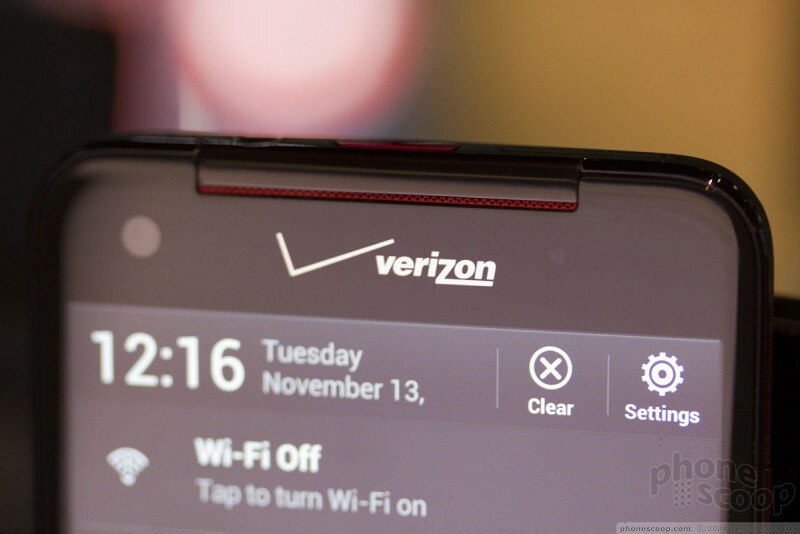 HTC and Verizon Wireless today announced the Droid DNA, a new flagship Android phone with the first full 1080p HD display in a phone for the US. 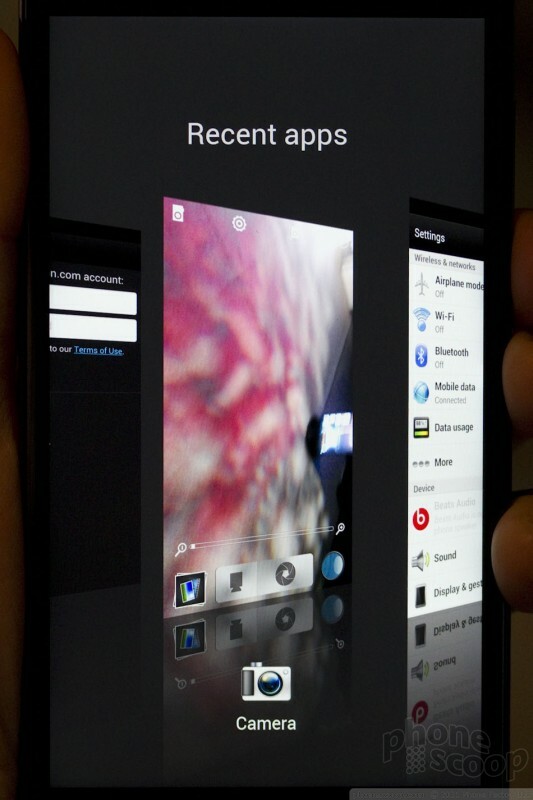 The 5-inch display has 440 ppi pixel density.